Everyone has a favorite neighborhood sushi spot and, if you live in Chelsea, there's a good chance yours is Momoya. For the price and the quality, you can't touch this (that was fun, right?). 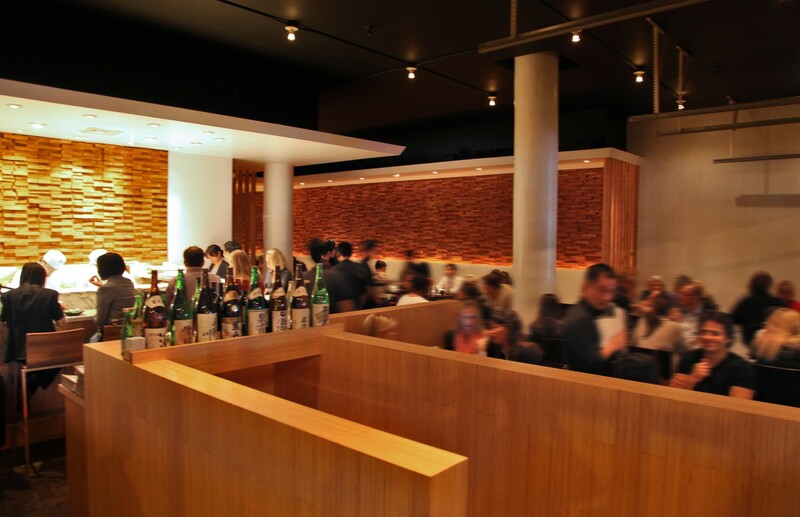 It's a restaurant that belongs in the "best of" conversation when discussing NYC's top tier of lower end sushi spots. And we have you to thank for turning us on to it. Some friends who lived in the 'hood who used to swear by it, and it was also the venue for NSieges' winning photo in our #NemoBites Instagram Challenge. So that's neat. It turns out that Momoya has a serious cult following outside of just people that we know in real life and a few that we have met over the internet. We recently went for dinner and got there as the soon as doors opened, and within thirty minutes every seat was taken and a wait began to pile up. I guess people are smart. Despite a plethora of sub-par sushi options in the area, they seem to know how to sniff out the highest quality fish. And though Momoya might not be home to the best sushi in all of Manhattan, they certainly do a good job of focusing on the basics while keeping a few popular tricks up their sleeve. One of those tricks is this moderately sloppy yet also insanely delicious spicy tuna crispy rice, which happens to be incredible. The sushi and sashimi are solid here too, and if you're careful, you can get out with a reasonable tab on your hands. Just go easy on the Sapporos. A buttery eggplant dish with sweet miso that melts in your mouth. This is one of the most popular items at the Momoya menu and it needs to be at your table. A stacked Japanese cucumber salad in a sweet soy vinaigrette. It's simple, yet delicious. Is a spring roll the optimal way to eat lobster? Absolutely not. But it's also hard to not order it when it's staring you in the face. Typically, when something as decadent as lobster gets thrown into a greasy spring roll, the meat can get lost in translation. That wasn't the case here. The lobster remains rich and juicy and these are a welcome change of pace from your standard veggie spring rolls. You know how we know that something is awesome? When we post it to Instagram and it immediately gets a sh*t load of likes and comments. Seriously. We don't even really eat stuff anymore. We just take pictures of it and see how people react. Ten pieces of the chef's choice, all served up in a big round bamboo abode with your choice of one special roll. This isn't a crazy omakase with the glazes and caviars. It's a collection of really fresh fish, much of which is flown in from all across the world daily. This was the one real miss we ran into. While in theory a warm miso black cod roll sounds good, it doesn't translate very well into sushi form. This is hard to eat, comes topped with too much crispy sweet potato shavings, and the cucumber roll it's wrapped in gives it a wet, waterlogged quality. No thanks. They have a nice selection of special rolls at Momoya. Even though this one sounded like a hot mess with too much going on, (yellowtail and cucumber wrapped in tuna and salmon with spicy scallop on top) it worked. Very well. Order it.